In 2019, for the first time, the official figures of the population of Ukraine will be less than 42 million people. As of August 1 of this year – according to the latest available data of the State Statistics Service – the population was 42.248 million, as of January 1, 2018, only seven months earlier – 42.386 million, and as of January 1, 2017 – 42,584 million. 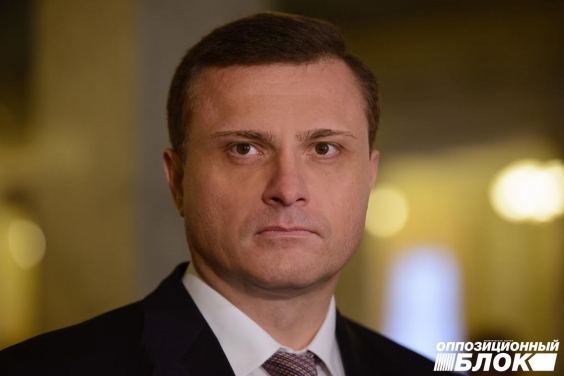 Losing 200 thousand people every year, Ukraine will inevitably overcome another sad line next year, writes the deputy chairman of the faction of the Opposition bloc Serhiy Lovochkin in a blog on the "Correspondent". A little less than five years ago, on January 1, 2014, the population of our country was 45.426 million. However, this statistic took into account almost 2 million citizens living in Crimea (now the State Statistics Service excluded them). However, this adjustment only reminds that the current figure of the population – 42 million – is far from reality. The State Statistics Service cited the resident population of Ukraine as of August 1, 2018 — 42.078 million. If we compare the data with the total population, then according to official data, only 170 thousand of our citizens live outside the country for at least a year. However, half-empty small towns and villages are a good example of the opposite. According to the Ministry of Social Policy for 2018, 3.2 million people are in full-time work abroad and about 9 million work there seasonally. According to the Ministry of Foreign Affairs, 4.4 million people work in Russia and Poland. In addition, according to the Ministry of Economic Development, 70.000 students left for abroad in the period 2009-2016. With the variation of the figures, it is possible to agree with the expert estimate, according to which about 5 million Ukrainian citizens, for some reasons, constantly live abroad. Totally, for the moment, the population in the territory controlled by the government is about 33.5 million (according to expert estimates, 388 million people live in the uncontrolled areas of the Donbas). This is a demographic catastrophe. All the citizens of our country suffer its consequences. Despite the high social contribution that employers and workers pay to the Pension Fund, the average pension in Ukraine is only $ 93, which is 5 times lower than in neighboring Poland. The reasons for this are obvious. The number of citizens aged over 59 in the period 1990–2018 increased from 9.45 to 9.68 million people, the number of children aged 0–15 years decreased from 11.8 to 6.9 million. At the same time, the number of working-age population (16-59) for the same period decreased from 30.3 to 25.64 million people, and only 64.5% of them have a job. However, the worst thing is that for the past four years the situation has worsened in all directions. If in the period 1992-2013, the annual decrease in the working-age population was 0.6%, in recent years it has been above 1%. If in 2011-2013, the number of children born was more than 500 thousand per year, then in recent years there has been a regular fall: 2014 – 466 thousand, 2015 – 412 thousand, 2016 – 397 thousand, and 2017 – 364 thousand. After 2013, all incentives for population growth were eliminated. In 2014, at the same time, most of the budgetary items in support of the domestic economy were eliminated and the progressive scale of payments for child birth was destroyed. The Opposition Bloc’s program for overcoming the crisis (including the demographic one) proceeds from the fact that firstly, the factors that have aggravated the situation in recent years should be eliminated. Only our party has a real plan to end the war, since all other political forces declare refusal to engage in dialogue with all parties to the conflict in the Donbas. Meanwhile, only by restoring peace, it is possible to change the mood of citizens, a growing percentage of whom consider labor or permanent emigration as the best prospect for themselves. Only the restoration of peace can change the mood of investors who do not want to invest in an unstable state. Only the cessation of war will allow redirecting budget funds to programs for supporting the economy and social protection of the population. Of course, a progressive scale of payments for child birth should be resumed. The current amount of UAH 41.280, being not changed for 4 years (for 2019 its change is also not planned), during this time has decreased from $ 3.44 thousand to $ 1.47 thousand. Meanwhile, the experience of Ukraine shows that the birth rate increased in those years when there was economic stability and there were differentiated payments to children. Therefore, our programmatic task is raising the payment on the first child to UAH 100 thousand, on the second – UAH 200 thousand, on the third and more – UAH 400 thousand. A poor country cannot be strong. Only by giving people the opportunity to live humanly, we will build Ukraine, which will have a future. In which 42 million will actually live, and not just listed on paper. Our country is a country of common well-being. Our language is the language of deeds, not empty slogans. Our faith is in the future of each of us, which will become the future of Ukraine.